Knowing your strengths will never lead to living and working in optimal ways. 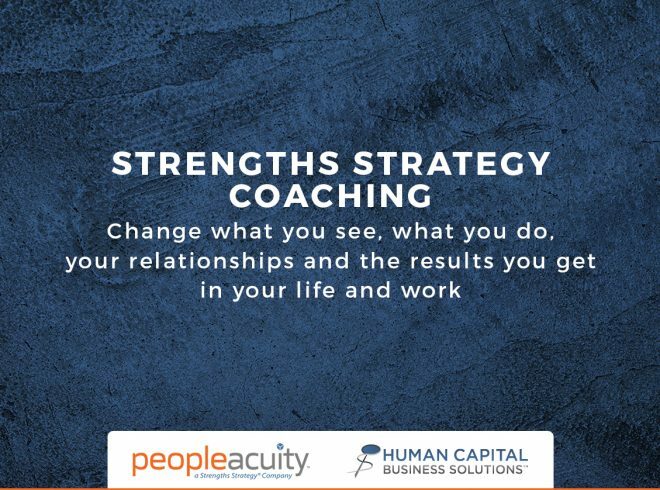 However, increasing your People Acuity through using effective Strengths Strategies that have been implemented with thousands of people across the globe will transform the way you see and optimise the value, capabilities, and potential of yourself and others. Discover and practice the six Strengths Strategies that will help you solve your pressing workplace problems. 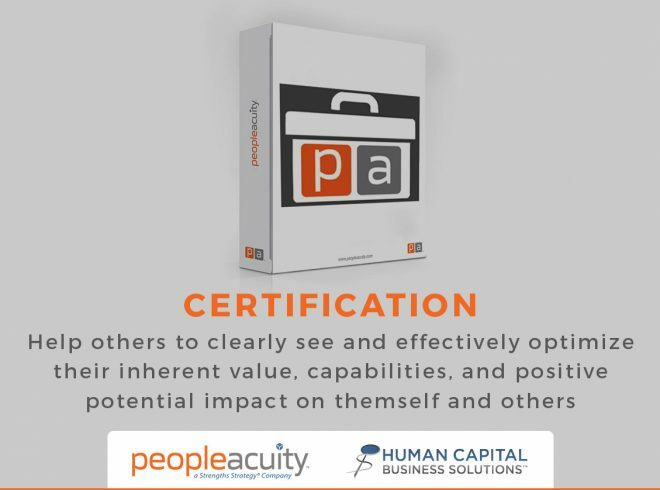 This is the first level of certification and a prerequisite before certification as a Strengths Strategy for Optimal Performance (SSOP) and People Acuity Facilitator. This blended learning certification course focuses on the deeper discovery and application of the Strengths Strategy Coaching differentiators, Strategic Interdependence, Strengths Strategy, and Purpose Alignment. It provides the laboratory experience necessary to transfer your increased understanding into practical, real-life, actionable skills you can use to benefit yourself and others. Personal application, discovery of cutting-edge tools, and practice of coaching/leadership skills is the focus of this blended learning program as you build upon the experience gained in the SSCS program. It is designed to empower you to confidently develop the People Acuity meta-competency so critical to leading, guiding and coaching others. You will also become adept at Synergizing through Interdependence, the use of Strengths Strategies, Intelligent Influence, and Purpose Alignment for impact and engaging others. The final certification level is for anyone who wants to become a professional external or in-company Coach. It requires prior certification as a SSCG and 50 hours of coaching clients under the mentorship and guidance of a SSCC assigned by People Acuity in the US. 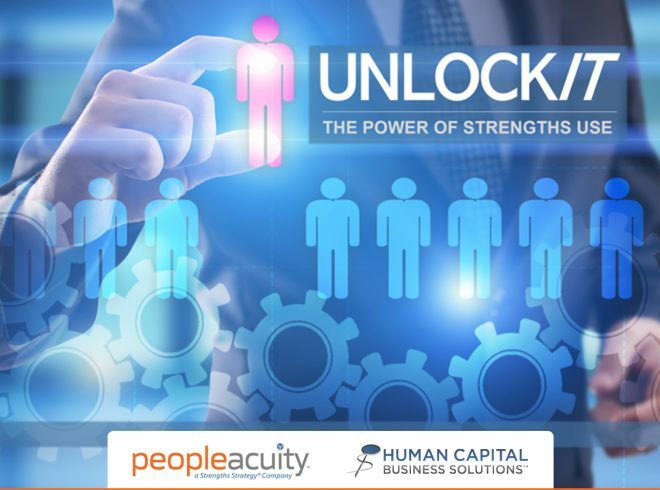 The People Acuity Facilitator Certification event includes a one-day Strengths Strategies for Optimal Performance (SSOP) workshop, a one-day Principles of Facilitating from Interdependence certification, a two-day SSOP certification, the facilitator guide and participants packet. With these certifications, you will be prepared to facilitate SSOP to your own clients or for you organisation. Certification requires prior certification as a SSCS. 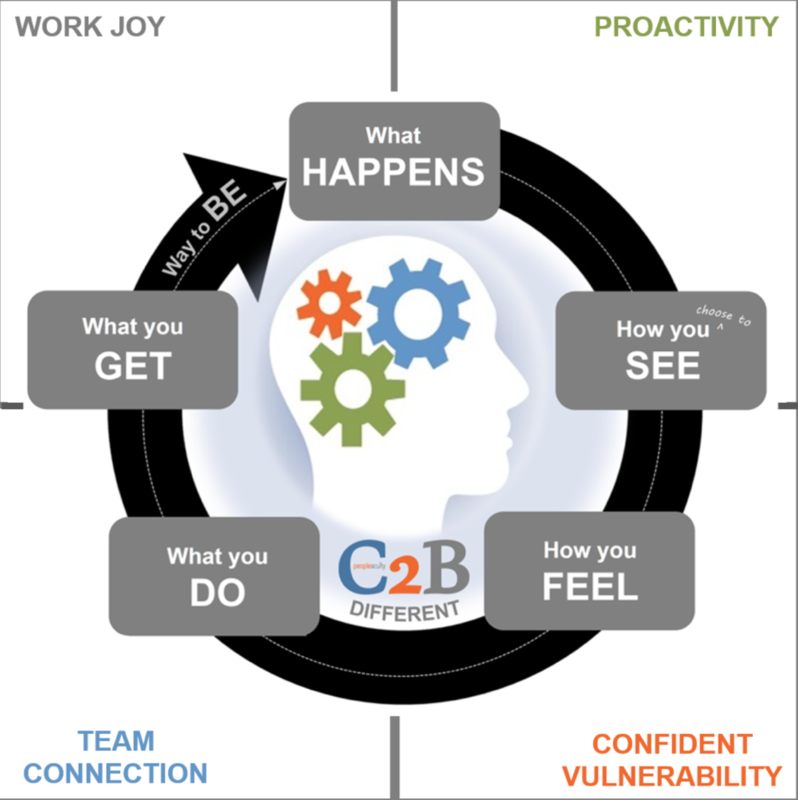 The C2B™ (“See-to-Be”) Different Report is for people who are looking to be more joyful and proactive at work, more connected to their team, and want to create high trust work relationships. The C2B Assessment Report will provide insight into the way you see yourself, others and your work. Find Your Why. Identify your most desired results and relationship outcomes. This will enable you to target situations and relationships that are meaningful and important to you and have the greatest likelihood of bringing you the kind of fulfillment and connection you may want. Re-evaluate Your C2B Results. Identify which items reflect current success (your highest rated items), as well as assessing which items might be most important to improve. Leverage Success Patterns. Closely examine your highest scored items, identify how you are creating success, what is working for you, and how you can be more intentional in using your success patterns. Set Your PACE™ Goal-setting Process. Craft very specific objectives related to the top items you most want to influence. Generate one of the following reports and self-coaching guides which can be purchased from People Acuity. You would need to enter your top CliftonStrengths to generate your report. 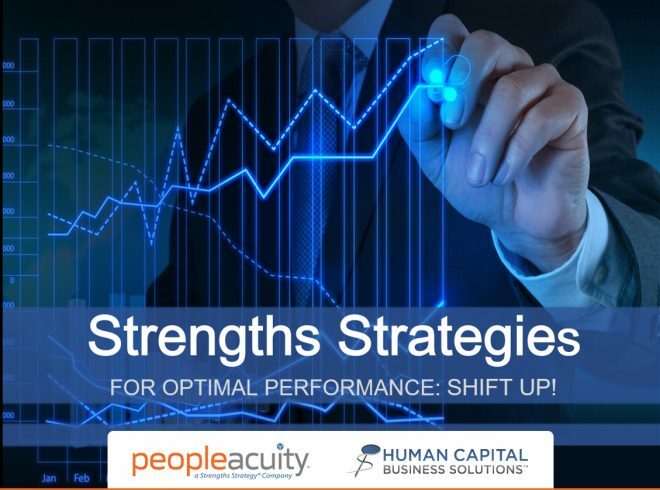 People Acuity Insight Report and Self-Coaching Guide – this report provides insights on two of the four accelerators for your top 5 strengths. People Acuity Accelerator Level 1 Report and Self-Coaching Guide – this report provides insights on all four accelerators for your top 5 strengths. Recommended: People Acuity Accelerator Level 2 Report and Self-coaching Guide – this report provides insights on all four accelerators for your top 10 strengths. CONTRIBUTIONS (to be aligned with your purposes). NEEDS (to be met). TRIGGERS (to be managed). OPERATING BELIEFS (to be wisely chosen). 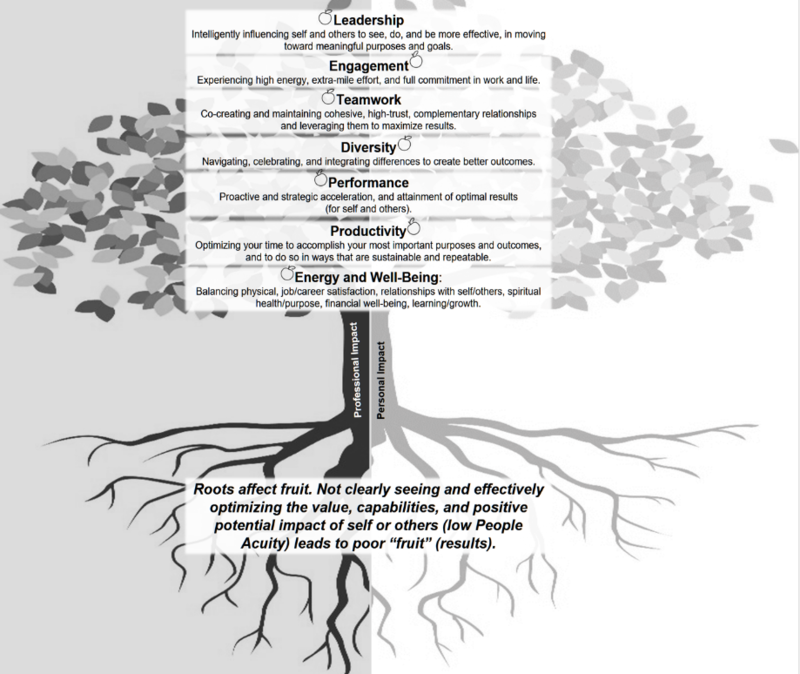 We also offer solutions for businesses, executives, leaders, HR and educators on strengths strategies and improving collaboration through strategic interdependence.